spiritandbride has no other items for sale. Details about Original DOG Pencil Drawing Signed Louise J. 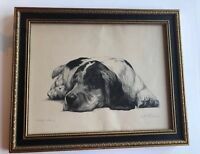 Original DOG Pencil Drawing Signed Louise J.